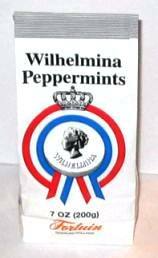 Wilhelmina peppermints are a long standing Dutch favorite. They are very refreshing and delicious. These come in a very nice stand-up bag.